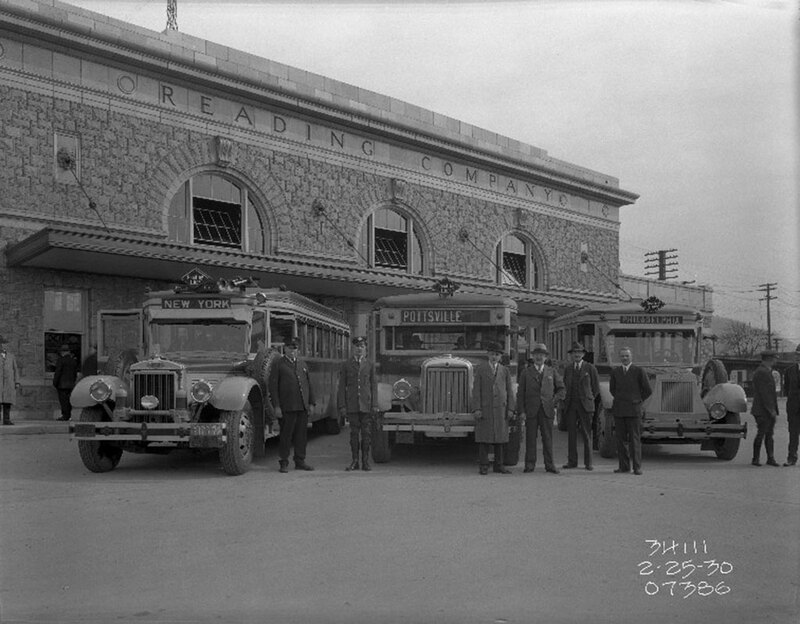 The City of Reading and the County of Berks purchased the failing Reading Bus Company in 1973. This led to the creation of the Berks Area Reading Transportation Authority. BARTA began operations on October 8, 1973. In 1978, the BARTA Special Services Division was established when the Berks County Commissioners ordered thirty-three publicly funded social services agencies to give up their transportation systems. The commissioners realized that by consolidating everything under BARTA, they were able to provide more transportation for more people at a tremendous saving. This specialized transportation system was the first of its kind in the state of Pennsylvania and one of only a handful in operation in the United States at the time. In 1992, BARTA became the first small authority in the US to use CNG (Compressed Natural Gas) buses. These buses remained in service until 2005 when it was decided that they were no longer cost effective and owner-ship was transferred to Erie and Indiana Counties. BARTA received a grant from the Federal Transportation Administration (FTA) in 1993 to remove the pedestrian mall on Penn Street in downtown Reading and reopen the road to traffic. The area on Penn Street between 6th Street and 4th Street was restored and bus berths with shelters were placed on Penn Street, East and West of 5th Street. In 2002, the BARTA Transportation Center (BTC) at 7th & Cherry Streets was opened providing a safe, climate controlled transfer point for our customers to use. In addition to a waiting area, there are restrooms, a customer service office for the sale of passes and a separate break area for our bus drivers. A community police station is housed at the BTC at the corner of 8th & Cherry Street. There is also lease space that is occupied by Labor Ready and the Berks County Veterans Affairs Office. There is a 101 space parking garage in the lower level as well as the potential to build an office level above the transit level in the future. The 350 space BARTA Park-N-Transit garage was built at 7th & Franklin Streets in 2005. A branding campaign was also held in 2005 and the entire route system was changed in order to provide a better experience for our customers. A new logo and a new color scheme for our buses was adopted as new buses were purchased. BARTA also began to invest in electric-diesel hybrid technology to decrease operating costs and to be better environmental stewards. In July 2010, BARTA became a County Authority. 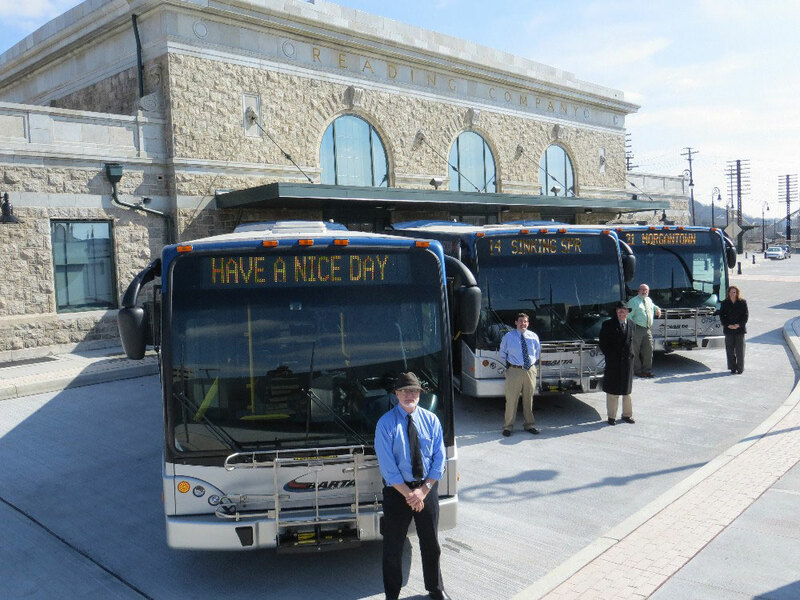 At that time, the name was officially changed to the Berks Area Regional Transportation Authority to reflect BARTA’s new focus on regionalism. In 2013, after more than 30-years of lying vacant, BARTA completed restoration and reopened the former Reading Railroad Franklin St. Station.